The group has discovered an unexpected connection–a link between the body’s defense system and skin regeneration. According to the authors of the study published today in PLOS Biology, cells from the immune system called macrophages-- those in charge of devouring invading pathogens, for example–are also responsible for activating skin stem cells and induce hair growth. The authors of the study are Mirna Perez-Moreno and Donatello Castellana, from the Epithelial Cell Biology Group of the BBVA Foundation-CNIO Cancer Cell Biology Programme, along with Ralf Paus, a hair immunobiology expert from the University of Manchester and Münster. The researchers did not investigate the relationship between macrophages and hair for fun. This work emerged more than four years ago from an observation made by Perez-Moreno while working on another research project. The mice she had been working with at that time received anti-inflammatory drugs, a treatment that also reactivated hair growth. Convinced that the explanation could reside in the existence of close communication between stem cells and immune cells --the Perez-Moreno’s lab began to experiment with the different types of cells involved in the body´s defense system. In 2014, we are able to restore sight to the blind and hearing to the deaf, but still figuring out a way to reverse hair loss eludes us. Well, 2015 may prove otherwise, as researchers in Spain believe they’ve found a way to spur new hair growth by using our body’s immune defense to stimulate stem cells in the surrounding skin. Stem cell technology is being used for everything, from HIV treatment to reversing neurodegenerative disease, so why not try using it to tackle the much more common problem of hair loss. According to a recent press release, scientists have figured out a way to manipulate macrophages, a certain type of white blood cell, into reactivating hair follicles. The result? No more baldness. In their study, published in PLOS Biology, the team succeeded in getting the macrophages to activate the stem cells in hair follicles on non-inflamed skin. The discovery was actually found by chance, when researchers realized that mice given anti-inflammatory drugs had the curious side effect of hair regrowth. Dr. Mirna Perex-Moreno, one of the researchers involved in the project, wondered if the hair growth was connected to the body’s immune reaction, and it turned out that she was right. Although macrophages are cells from the immune system which mainly help to fight infection and wound repair, it also seems that they play a role in activating the skin’s stem cells. The study, although only in the very early stages, may be useful in the treatment of baldness. Baldness is a condition which causes the receding of the hairline and thinning of hair on the crown of the head. It’s believed to be caused by both genetic predisposition and hormones. As of now, there is no way to slow down the balding process, and a definitive way to spark hair growth remains elusive. Many are heavily invested in finding a cure for the disease, believed to affect as many as 35 million American men. Earlier this year, Mark Black from The Trichological Society, an organization that focuses on hair sciences, explained his belief that a cure is possible within the next five years and will most definitely be here in the next 10. 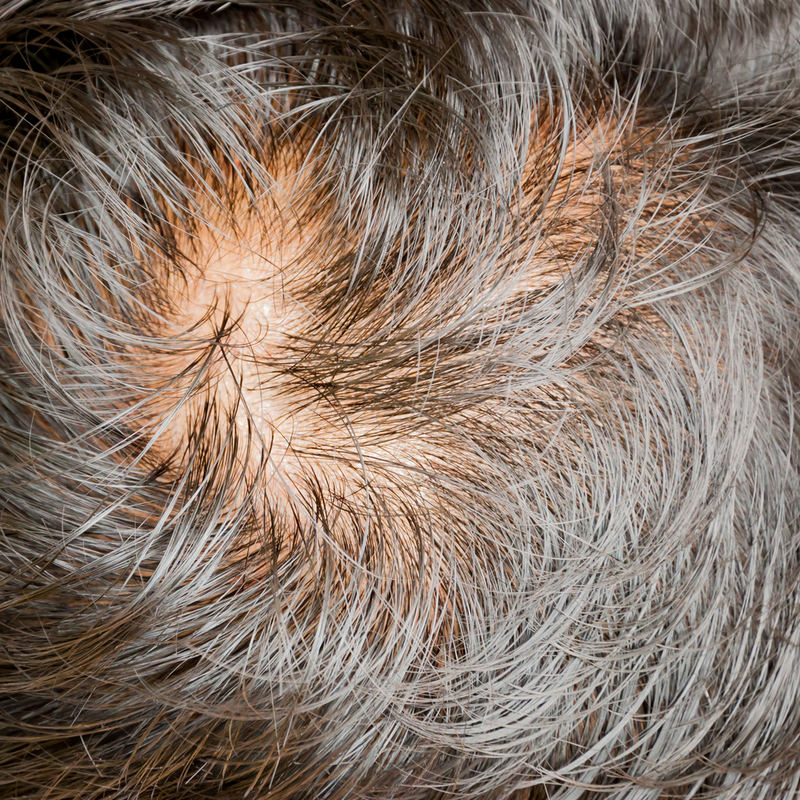 “It is a matter of time before we find a cure for male pattern baldness as well as alopecia. We know so much more about hair today and how it grows,” Blake told Express. Source: Castellana D, Paus R, Perex-Moreno M. Macrophages Contribute to the Cyclic Activation of Adult Hair Follicle Stem Cells. PLOS Biology. 2014. The lastest research into reserving baldness suggests that cells in the immune system may play a role. Castellana, Paus, and Perez-Moreno discover that skin resident macrophages signal to skin stem cells via Wnt ligands to activate the hair follicle life cycle. So what does all of this mean Baldie42? Do we know what drug was used? Can we get more information about this? I wrote to a scientist of discovery and it is the answer: “We truly appreciate your message and interest in our research. We fully understand how complex and difficult is to suffer from hair loss, and we are committed to continue investigating in this matter. Our current studies were performed in mice during more than five years. These results although promising, need to be further tested in mice since an over activation of skin stem cells can give rise to cancer. Although these results can provide insights to designing therapeutic approaches, unfortunately, this will need several years to test the efficacy in humans and to evaluate their potential side effects.